Game Day is exciting to my hubby and I for completely different reasons. He’s in it for the game… I’m in it for the food… Not that he complains when there’s food. 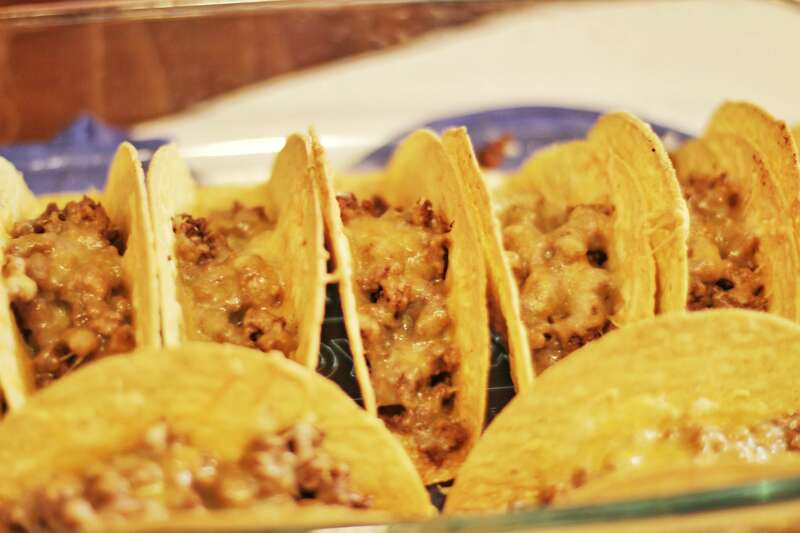 ;) This week, I made oven-baked tacos to accompany our game watching. They’re yummy, and you know if I made them they must be easy and quick, too. Minimal prep time and minimal cooking, the best of both worlds. 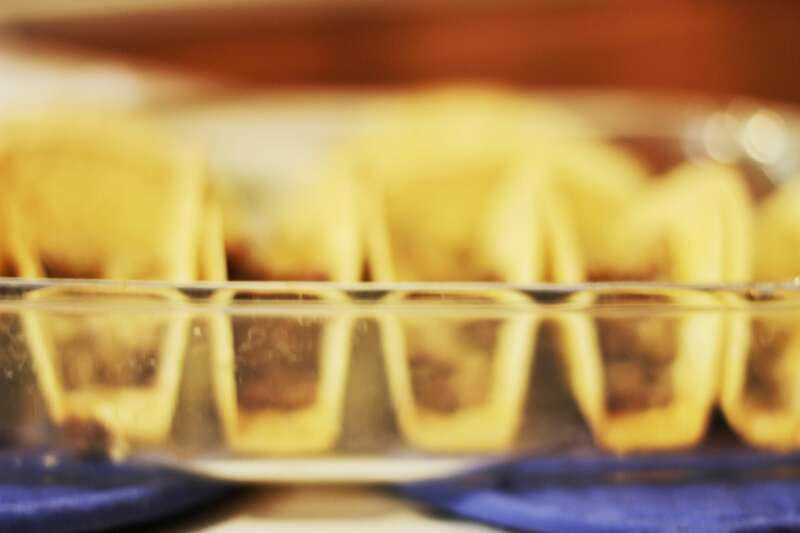 Easy and quick oven baked tacos. Add in taco seasoning and cook according to instructions on packet. 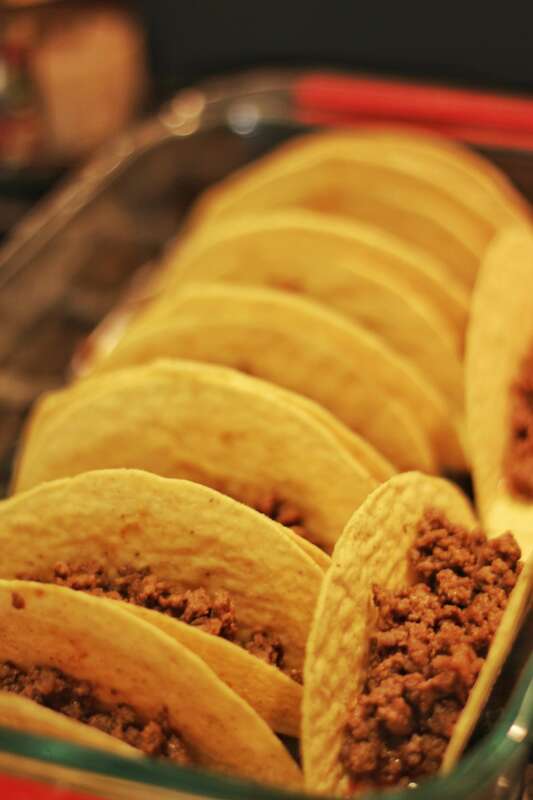 Add meat into taco shells, top with cheese. I love how easy it is to prep for Game Day with Old El Paso and Walmart. 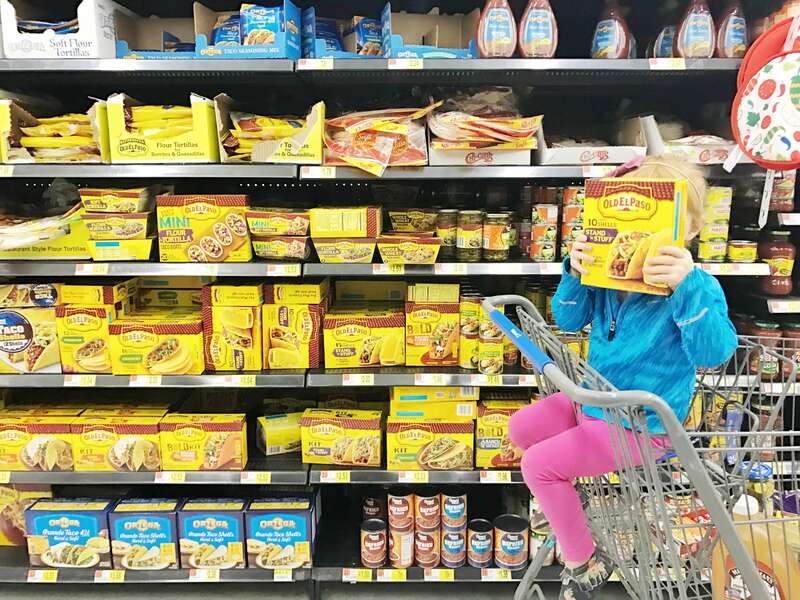 You can find everything you need for these easy, yummy tacos at Walmart. 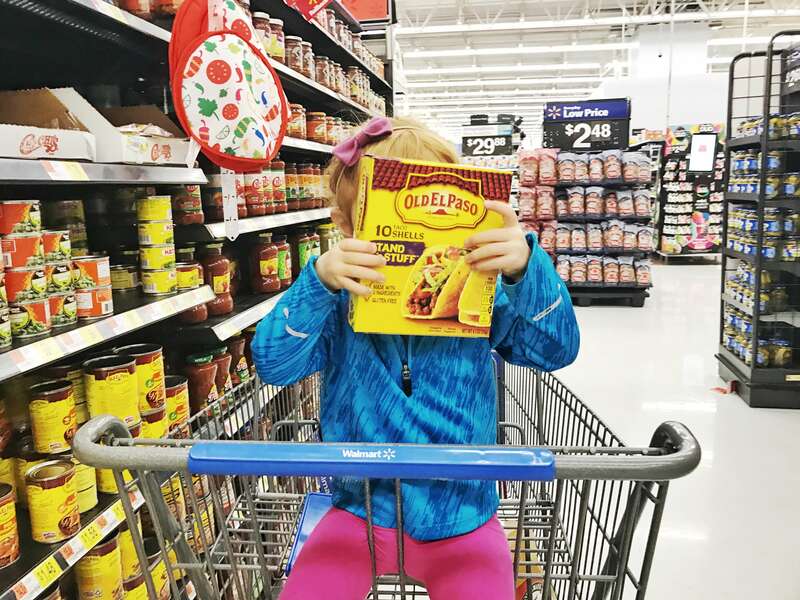 Score big flavor with Old El Paso, on Game Day and every other day! What’s your favorite Game Day tradition? 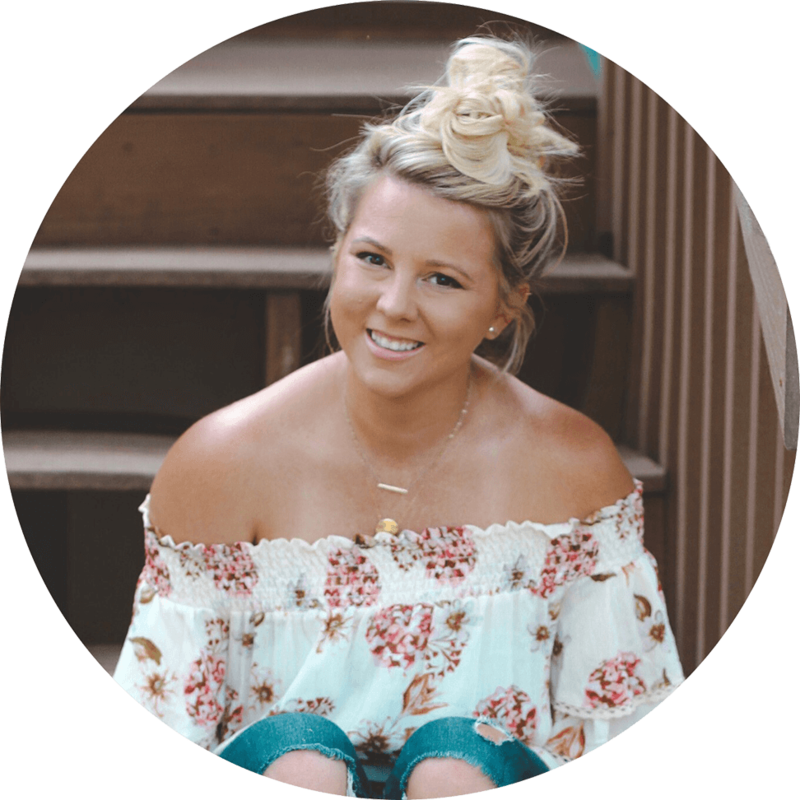 I’d love to know what you serve up for your family and friends on Game Day! We love those taco kits! ?? Oooo I want tacos now! 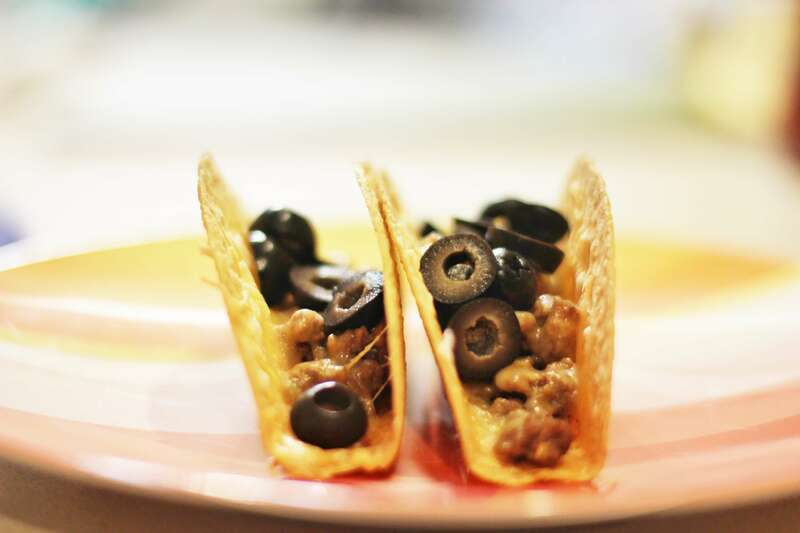 Tacos are the best and easiest dinner! I am salivating over here! This looks so good! 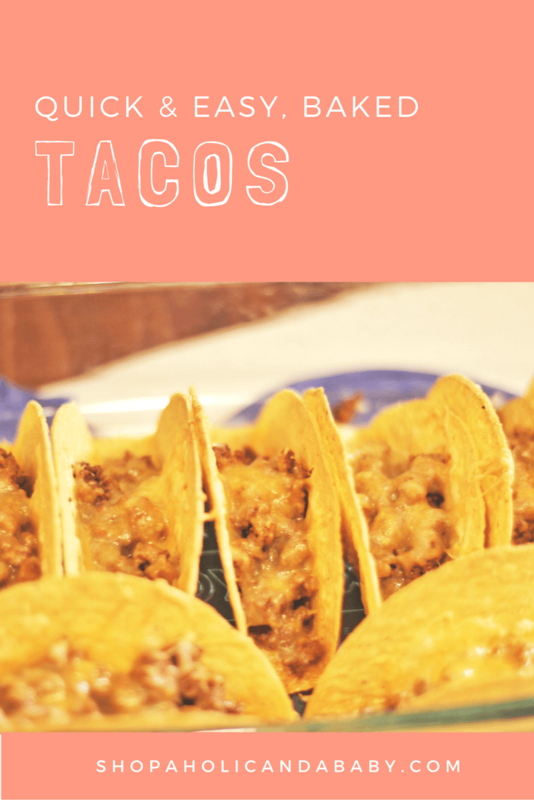 we do Taco Tuesday every week in our house and love trying new taco recipes. i can’t wait to try these! Yay for Taco Tuesday! We had tacos on a Monday recently and Blaire was so confused when I said it was “Taco Monday”! haha. These look delicious! I LOOOOOVE TACOS! Why have I never thought to bake our hard tacos?! They look so good and cheesy! Yum! I would never thought to melt the cheese on them in the oven. Thats such a good idea! Taco kits are a lifesaver in my house!! Yummy! We love tacos around here so we will try this week! You got me craving tacos now! Yum!